Perfect opportunity to capitalise a fantastic private and secure property. With all it has to offer, this private home is set on a generous 655sqm level block, conveniently situated in a quiet and dry street. From the moment you walk through the door of this peaceful home, you will see the potential that this property has to offer. Boasting rack ceilings, family size kitchen overlooking a fully enclosed sun room, beautifully landscaped backyard with space for kids and pets to explore. Completing this split-level family home are three spacious bedrooms, master with own balcony and a family bathroom. 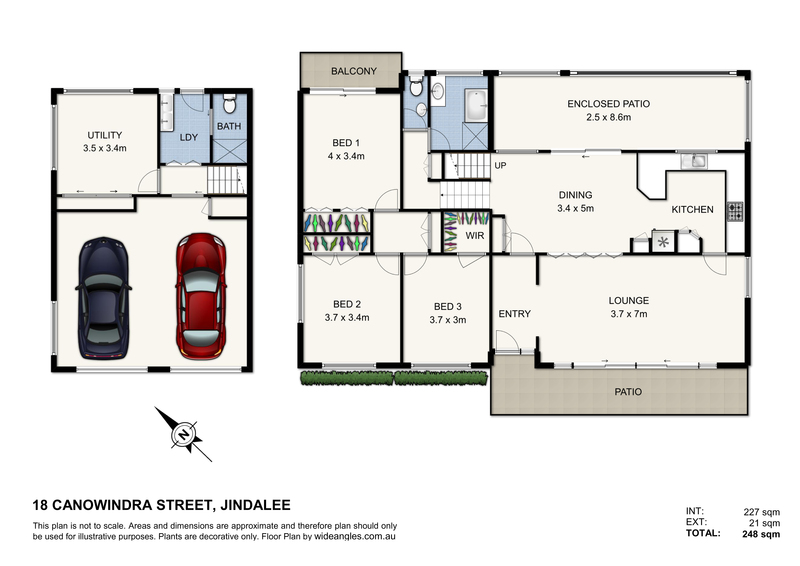 The lucky new home owners will find themselves only minutes from the Jindalee has to offer including; Jindalee boat ramp, Jindalee golf course, Jindalee Primary School, Centenary High School, parks, Jindalee Homemaker Centre, DFO, Piggy back café and public transport.